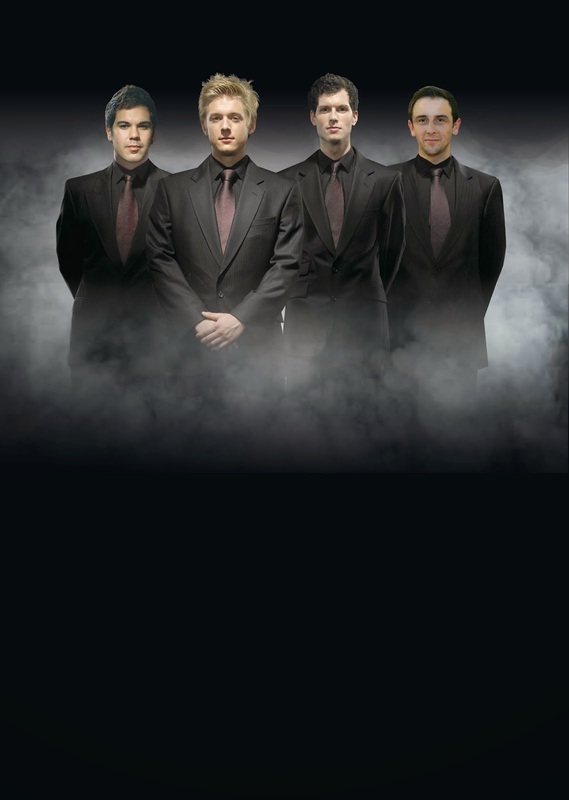 Top caption: G4 have announced they are set to perform at the Leeds Lights switch-on. Bottom caption: The Leeds Lights switch-on always attracts large crowds as the city begins the countdown to Christmas. Former X Factor finalists G4 have announced they are to reform, and will give their first public live performance as a group since 2007 at this year’s must see Leeds Lights switch-on. In what is sure to be an occasion not to be missed, the four-piece classical/operatic group will take to the stage at Victoria Gardens on Thursday 13 November in front of an estimated 15,000 strong crowd, as the city begins from 7pm its official countdown to Christmas in style by switching-on the city’s festive illuminations, which is one of the biggest lights displays in the UK. Hosted by Heart presenters Dixie, Emma and Rich Williams, the event will also mark the beginning of an exciting time for G4 frontman Jonathan Ansell, who is set to star as Prince Charming in the Leeds Carriageworks Christmas pantomime production of ‘Snow White and the Seven Dwarfs’ from December. Organised by Leeds City Council and Heart, with support from partners the Yorkshire Evening Post, other performers confirmed to appear on the night includes up and coming Yorkshire-based boy band, ‘My Forever’. They will be joined by a special performance of the popular ‘Santa’s Show Time’ which will feature special guests including Cbeebies ‘Lets’ Play’, presenter Rebecca Keatley, and an array of characters from the popular ‘Harry Potter’ books. Disney movie ‘Frozen’ has continued to wow both young and old since its release in 2013, and fans will also be able to take part in a sing-a-long to its most popular hits as part of the festivities. Further details on other celebrities, performers and local sporting heroes who are set to appear at the switch-on will be revealed in the run-up to the night. The Leeds Light switch-on marks the official start of the city’s ‘Magical Leeds’ campaign which will provide a number of special events and activities including the annual Christkindelmarkt on Millennium Square. "The Leeds Light switch-on is truly one of the highlights in our city’s calendar, and it is fantastic news that G4 have announced they will be performing in public live on the night for the first time since reforming. "Our switch-on event really is the perfect occasion for all the family to enjoy, and we can’t wait to see another large crowd gather at Victoria Gardens, where I am sure they will once again create another unforgettable, amazing atmosphere. 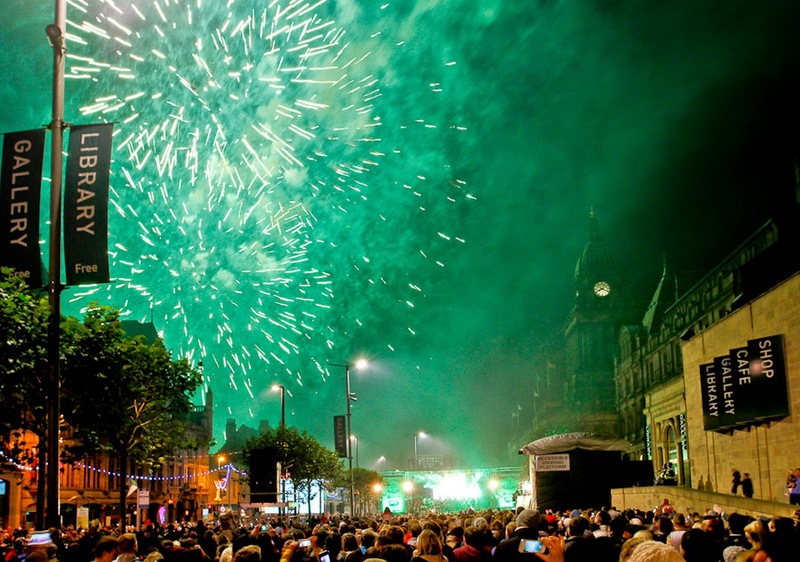 "We still have some very special guests to announce for the switch-on, which as always will be rounded off by the now traditional dazzling firework display." Tickets are now available for the pantomime ‘Snow White and the Seven Dwarfs’ which runs from 5 December November to 10 January 2015 at the Carriageworks Theatre in Leeds. Book online at www.carriageworkstheatre.org.uk or call the box office on 0113 224 3801.